Robots work on 2008 Ford Expedition and Lincoln Navigator SUV frames on the assembly line at Ford Motor Michigan Truck Plant in Wayne, Mich. Photo by Rebecca Cook/REUTERS. libertarian Richard Epstein’s defense of inequality. A full set of links is here. This Thursday, we give the floor to Dean Baker’s take on the issue. Dean Baker: There is little dispute among economists about the sharp rise in inequality over the last three decades. According to the Congressional Budget Office, the top one percent’s share of before-tax income roughly doubled between the late 1970s and the present — from 10 percent to 20 percent. This gain came at the expense of the bottom 80 percent of the income distribution, who have seen little benefit from economic growth over this same period. Economists generally agree about the facts on rising inequality. There are, however, enormous disagreements on the causes. The prevailing view within the profession attributes the rise in inequality primarily to technological change. Is Rising Demanding for High-Skilled Workers Creating More Inequality? The basic story is that computerization and other technological breakthroughs of the last three decades have displaced large numbers of relatively good paying jobs in manufacturing and elsewhere. This loss of middle class jobs has forced formerly well-paid workers to crowd into occupations further down the wage scale, like retail trade and restaurant work. This has driven down wages for these workers in particular, and the occupations more generally. The result: the middle and bottom of the income distribution have seen relative declines in their wages because the demand for labor has simply not kept pace with the supply. The most prominent proponent of this view is David Autor, an economics professor at M.I.T. His work purports to show a hollowing out of the middle, with demand increasing for workers in both high paid and low-paid occupations. But while Autor’s work has been widely accepted within the profession and in policy debates, not all of us buy it. In fact, my friends and colleagues Larry Mishel, John Schmitt, and Heidi Shierholz recently wrote a paper that challenges many of Autor’s claims. They presented it at the annual economics meetings this month. While much of the debate is fairly technical, the main points are straightforward. For example, Autor’s story can explain to some extent the pattern of inequality in the 1990s. But it doesn’t work at all for the 2000s. In the 2000s there was indeed an increase in employment in low-paid occupations. But — the share of middle and high-paid occupations both declined. Just look at the data. And yet, even though the trends in occupation growth were completely different, we saw very much the same pattern of wage inequality in the 2000s as in the 1990s. This suggests that higher demand for workers in high-wage occupations is not the explanation for wage inequality. Occupation Employment Trends and Wage Inequality: What the Long View Tells Us. For 30 years, that is, greater demand for high-skilled workers did not cause inequality to rise. But if technology and its demand for high skills are not to blame for the rise in inequality, then we have to look elsewhere for the culprits. One obvious source is globalization. Millions of manufacturing workers have lost their jobs to low-paid workers in Mexico, China and elsewhere. Some argue that this is a natural, inevitable market process. But it is not. It is a policy choice. Yes, there are tens of millions of people in the developing world who can perform the same tasks as our manufacturing workers for a fraction of the pay. But there are also millions of people in the developing world who could perform the same tasks as our doctors, dentists, and lawyers — for a similar fraction of the pay. Our trade policy has been explicitly designed to put our manufacturing workers in direct competition with lower paid counterparts in the developing world. By contrast, our trade policy has largely left in place or even increased barriers that prevent workers in the developing world’s most highly paid professions from competing with their American counterparts. Other policies have contributed to growing inequality. De-unionization and the deregulation of major industries like communications and transportation have also played important roles in eliminating middle class jobs. It is arguably true that this policy fostered growth. But then wouldn’t deregulation of the medical and legal professions also foster growth? Other policies have clearly had the effect of redistributing income upward. The explosion of the financial sector, fostered by both deregulation and a now explicit “too big to fail” policy, has led to large fortunes for many. Greatly increased patent and copyright protection has also tended to enrich a fairly small number of people well-positioned to get the benefits of these interventions. In short, there is a strong case to be made that we got inequality by design. We shouldn’t blame the robots. 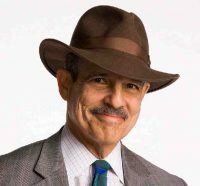 Paul Solman: For a case on behalf of the robots, you might want to venture to Wired magazine for a story about why the robots must take all our jobs.